Once silent screen legend Alla Nazimova was nearing the end of her career, she was advised by her business manager to build a revenue generating hotel. 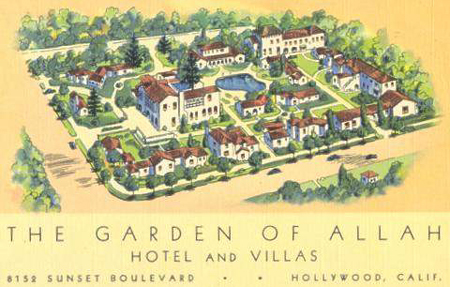 She turned her estate on the corner of Sunset Blvd and Crescent Heights into a hotel which soon became a getaway for film stars, and discreet affairs. The cost of the construction was so great that by its completion in 1928 the actress was bankrupt, and forced to sell out. She subsequently rented a small flat in one of the wings of the hotel. 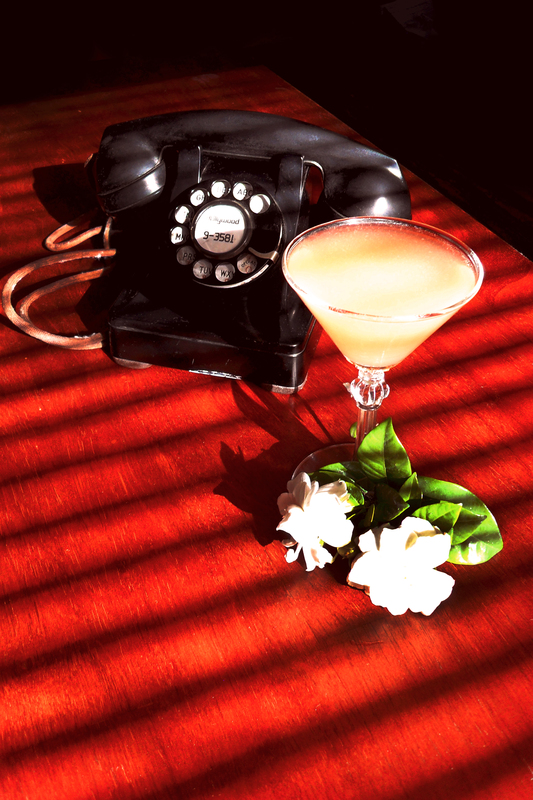 Now there is a drink celebrating the glory days of the actress and her Garden. Drink up and enjoy! Place all ingredients into a shaker with ice, shake hard and double strain into a chilled 4 – 5 oz. cocktail glass. Posted in Gin, RecipesTagged cocktail, daddy-o's martinis, daddyosmartinis, drink, drinks with cantaloupe John Apodaca, Garden of Allah, gin, grapefruit juice, john apodacaBookmark the permalink. Very tasty recipe! Love cantaloupe. So refreshing on a hot day.